Gold or Silver Finishes Resist Tarnishing. 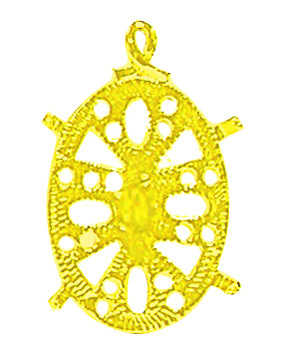 has bright GOLD finish that resists tarnishing. Has molded-in loop for bail etc. 1-1/4" x 7/8" Oval. Cast metal. has bright GOLD finish that resists tarnishing. Bail hook is permanently attached to back. 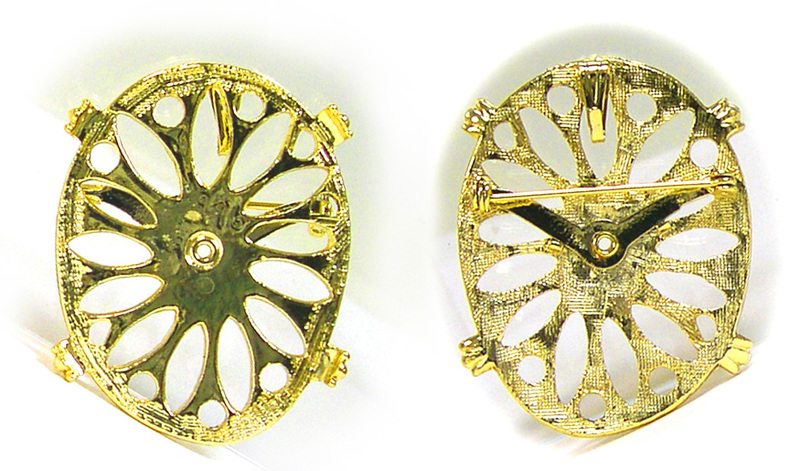 Pin-back includes safety clasp. 1-7/8" x 1-3/8" oval. Cast metal. has bright GOLD finish that resists tarnishing. 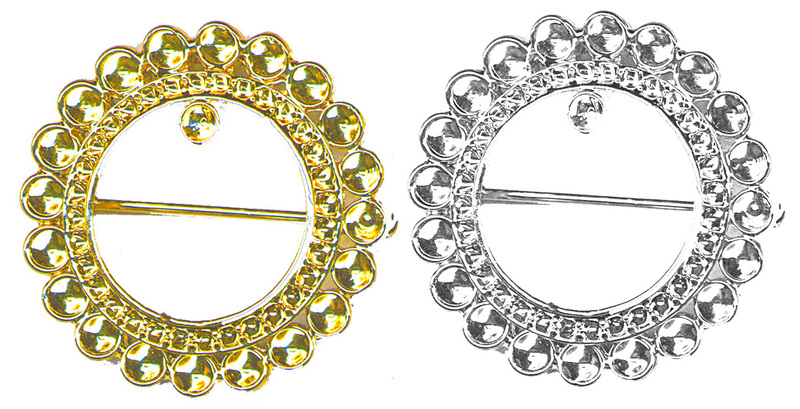 Pin-back includes safety clasp. 2-1/2"W x 1-3/4"H. This stand-alone charmer can also be adorned with a 5/8" x 1/2" oval insert and 4mm pointed back rhinestones, etc. Cast metal. has bright GOLD finish that resists tarnishing. 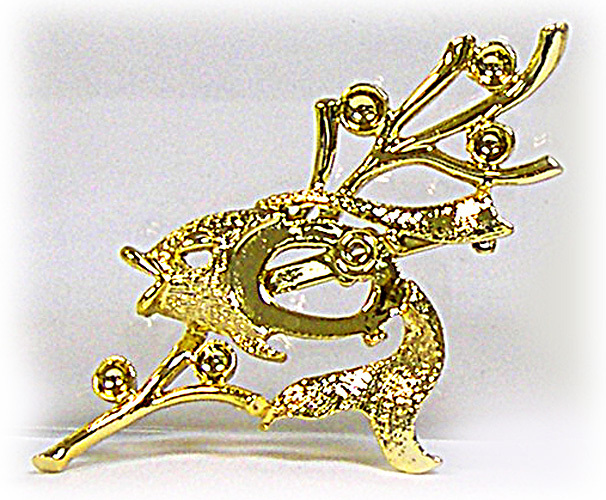 Pin-back includes safety clasp. This is a gorgeous pin - but you can also decorate its center any way you like if so desired. 4"H x 1-1/2"W. Cast metal. 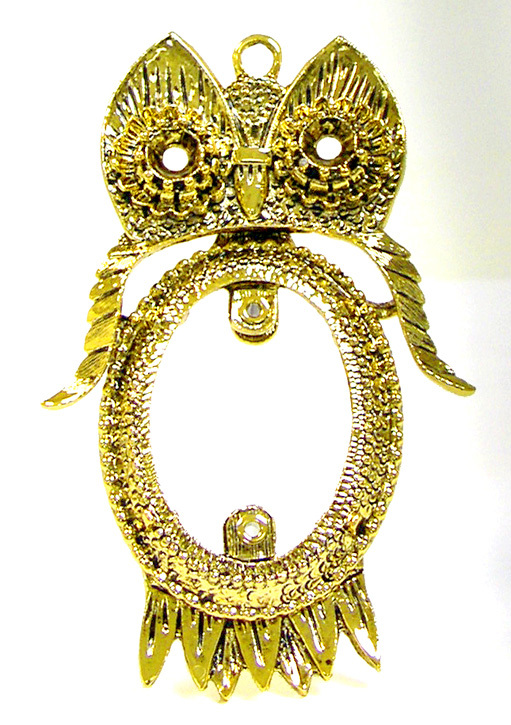 F) Fanciful Jointed Owl Pendant with moving head and tail has ANTIQUE GOLD finish that resists tarnishing. Eyes take 6mm inserts and the body a 1" x 1-1/2" approx. insert. Cast metal.